Barnageeragh Cove is a superb seafront site in Skerries. 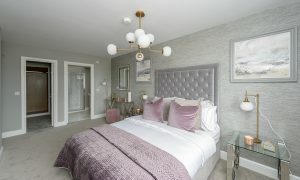 From Skerries Harbour following south-west along the meandering coast road, you will find this haven where there are a limited selection of spacious 4 bedroom detached homes with large entertainment room on offer. 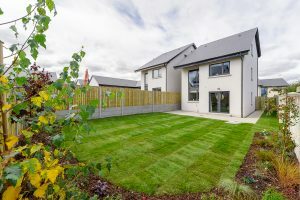 Winsac Limited have created a residential address that offers a rare opportunity to acquire a new house in a quite spectacular seafront setting and enjoying spectacular coastal views. 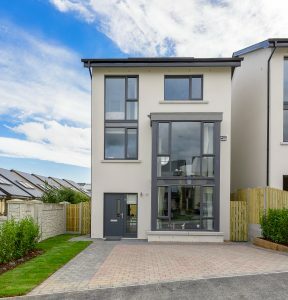 The specification in Barnageeragh Cove is well above normal standards both internally and externally. 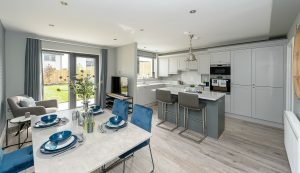 Elegant contemporary houses are nestled amidst wonderful grounds that incorporate a blend of hard and soft landscaping, feature seating areas and meandering pathways providing residents with a most soothing environment where the sea air, the sounds of gulls and sea views provide a reassuring sense of place. Skerries is a vibrant and sophisticated seaside town that has established itself through the centuries. There are excellent schools, banks, shops, restaurants, bars and a host of outstanding amenities that easily cater to the most demanding needs. The Skerries Shopping Centre, The Educate Together School and Skerries Train Station are particularly close to Barnageeragh Cove as are the playgrounds and amenities of Ardgillan Castle. The town is served by a regular Commuter Train service with over 20 trains to Grand Canal Dock each weekday with onward links to the Luas and DART services. Skerries is serviced by a number of public bus services to many destinations including Dublin City Centre, Drogheda and Dublin International Airport. 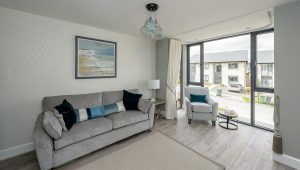 Skerries is highly accessible to the country’s road network being only 15 minutes from Junction 4 of the M1 motorway, giving easy access to Dublin International Airport, the M50 ring road, the Port Tunnel and the city and beyond.